Sending Litt Law Firm, LLC. an e-mail will not make you a client of our firm. Until we have agreed to represent you, anything you send us may not be confidential or privileged. If you would like to inquire about possible representation, please call an attorney directly at one of the telephone numbers listed. Our first step will be to determine whether a conflict of interest exists. If no conflict of interest exists, we will put you in touch with the lawyer best suited to handle your matter. We are in the process of reviewing it. Litt Law Firm is a pre-eminent general practice boutique law firm located in Las Vegas with expertise in numerous areas of law including family law, personal injury, and medical malpractice. Litt Law Firm is a family run law firm with the co-founders being, Richard L. Litt, and his daughter, Amanda E. Litt. Our Attorneys are dedicated to providing a wide variety of legal services and achieving cost-effective results for our clients. Litt Law Firm believes in efficient and cost-effective legal services. We value our clients and believe that the client’s needs play an imperative role in our representation. We will stand by your side through your whole legal matter and fight for what matters to you. Amanda E. Litt, Esq., managing partner, focuses her practice on family and business matters. Amanda’s focused practice and training gives her a unique perspective on resolution orientated case management. Amanda is also a trained mediator and offers mediation services for many areas of practice. The Litt Law Firm also specializes in medical malpractice with one of the senior partners dually licensed as a medical doctor and juris-doctorate. Richard is a board-certified physician practicing for over 40 years. Richard L. Litt’s expertise as both a doctor and a lawyer which makes him an exceptional choice for a medical malpractice attorney. His training and experience in the medical profession is a critical litigation resource to our clients. The combined legal and medical experience of Dr. Litt gives him a critical and unique advantage in his practice. Dr. Litt is also an Arbitrator and trained Mediator. Amanda Litt is an excellent attorney. She handled my divorce and did it exceptionally well. I have had to deal with attorneys in my life and she really did outstanding work. She is compassionate, efficient, and most importantly, she is honest. She was always easy to reach and available to me when I had questions or needed to meet. She resolved my case with care and really focused on what my case needed. When I read reviews posted about how much money someone spent on their attorney, I am very wary of those reviews. You should always research your attorney and find the best fit for you, but I also know how emotional and difficult a divorce can be and how important it is to know you have an attorney on your side and there is no price for peace of mind. I am sure each case is very different, but I can tell you that Amanda is worth it. I retained Amanda to handle my primary custody case and she executed professionally and effectively from start to finish beyond my expectations. Through my initial consultation, she was extremely attentive and immediately knew exactly what I needed to do and proactively suggested a solution. She did not waste my time and gave me legal guidance and great advice throughout the process. She answered all my questions, promptly to the point via tex/email within 24 hours. She closed my case within 30 days and I am very happy with the results (yes i got primary and everything that i asked for). I would definitely endorse her to anyone who is need for legal matters and I, myself, will hire her again in a heart beat. Amanda Litt is the only attorney whom I had the most POSITIVE experience here in Vegas. I retained Amanda E. Litt in March 2018. She is truly compassionate, intelligent, and has an amazing way of bringing peace to her clients during stressful times. She maintains open lines of communication and when she says she will get something done, she always does. I have only ever written a few Yelp reviews, but it was important to share my experience with Litt Law Firm. I would definitely recommend Amanda! When life changes and it involves your family, you deserve a fair, reasonable, and cost-effective resolution. Medical professionals and staff make mistakes and fail to follow proper procedures, causing individuals to suffer unnecessarily and sometimes to die. Whether it is physical abuse, neglect, or any other form of harm, elderly abuse is illegal and should be immediately reported and stopped. We understand how devastating it can be to be injured in an accident that wasn’t your fault or to be injured under circumstances that you didn’t cause. There are many different types of criminal law matters ranging anywhere from DUIs to drug possessions to domestic violence. Are you having issues with a landlord or are you a landlord having issues with a tenant? Let us help you handle these situations. 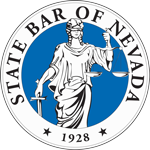 Do you have a traffic matter currently pending in Justice Court, City of Las Vegas, North Las Vegas, or Henderson? You may be eligible to have your criminal records sealed after dismissal of your case, an acquittal, and even after you have been convicted. If you are taking the step to start your own company, getting the proper advice on how to form your corporation is essential. Mediation is a process that assists disputing parties in developing and reaching a mutually acceptable outcome facilitated by a balanced and impartial 3rd party (the mediator). Litt Law Firm’s practice expands further with both personal injury, real estate, including contract negotiations and landlord/tenant, with an emphasis on counseling for litigation avoidance. Our firm’s combination of expertise and experience in these practice areas is rare among boutique law firms and makes Litt Law Firm uniquely suited to serve our clients’ varied needs. Richard L. Litt is also a private arbitrator and mediator. Combined, the attorneys of Litt Law Firm, have settled millions of dollars in negligence cases. Copyright © 2019 Litt Law Firm | All Rights Reserved.